Kritter's Northcountry Campground & Cabins invites you to come and explore the UP in the winter. Newberry Michigan Snowmobiling begins here right heart of Michigan's Upper Peninsula. 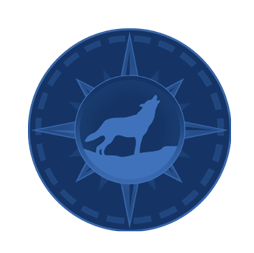 We are well known for our groomed trails, snowfall and our great area hospitality. Our local trail system offers 128 miles of groomed Newberry, MI Snowmobile trails that connect you with the entire Upper Peninsula. Kritter's Northcountry Campground & Cabins is located directly on the trail system - leave from your front door. We have plenty parking space for you and your snowmobile crew! Ranked #3 in the U.S. for Snowmobiling by Lake Superior Magazine! 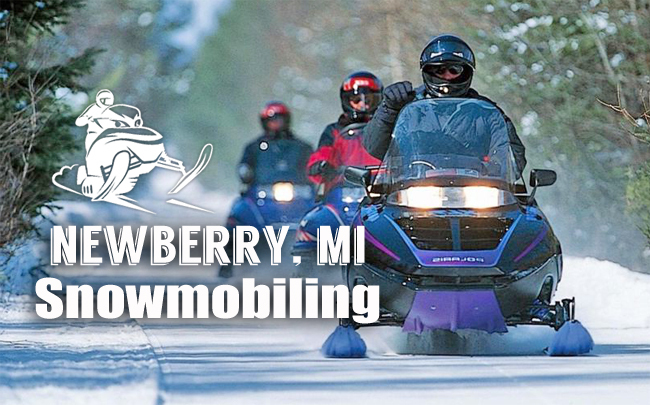 Begin your next winter vacation here and see what makes Newberry Michigan Snowmobiling such an exciting experience. Upper Peninsula Snowmobiling is one of the most exciting winter recreational activities that our great white north has to offer. Our snowmobile association works hard to provide a positive riding experience like no other. There are plenty of great things to see and do here in the UP. The Newberry Chamber of Commerce Office has maps available for $4.00 each. They are located on the corner of M123 and M28. They are open 10am-4pm Monday-Friday during the winter season. Just look for the little log cabin located near Pickleman's Pantry. 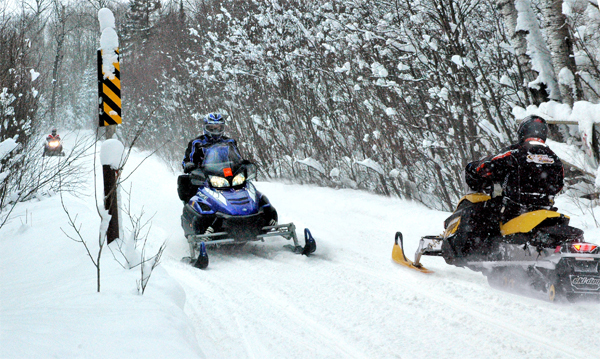 TASA takes great pride in grooming and maintaining 128 miles of snowmobile trails that connect to other Upper Michigan snowmobile trails. To keep these snowmobile trails in top shape, it takes a lot of man power, hours of hard labor & commitment. TASA is a non-profit organization that was organized for the purpose of promoting and advancing the general welfare and safety of snowmobiling. Be sure to contact us in advance of the season to ensure your stay with us. Our Little Lodge and Cozy Cabins rent quickly and we want you to have a successful vacation.